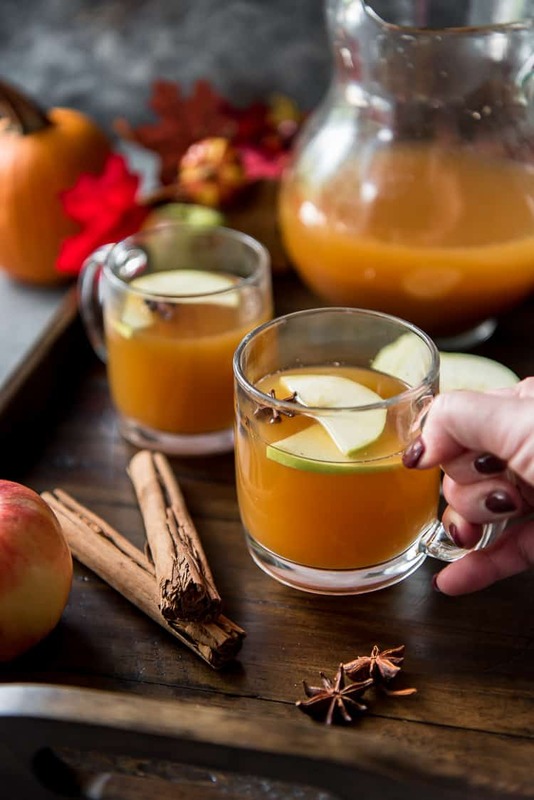 This easy Crock Pot Pumpkin Apple Cider is the ultimate fall drink, whether served hot or cold! 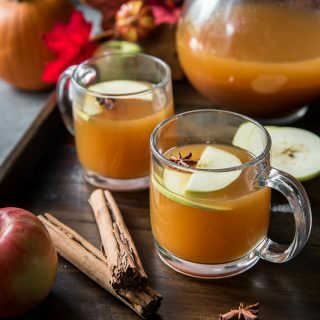 Smooth, spicy apple cider is slow cooked with the comforting flavor of pumpkin, and makes your house smell like grandma’s during the holidays! This post is sponsored in conjunction with PumpkinWeek . We received product samples from sponsor companies to aid in the creation of the PumpkinWeek recipes. We only work with companies that we love and, as always, all opinions are 100% ours. This Pumpkin Apple Cider has me right in my feelings, and – as always – I will not deny my pumpkin-loving basicness here. How could I? I mean, it’s Pumpkin Week, after all. And since Abe hates apple cider, someone had to take it down. Much like Katniss, I didn’t hesitate to volunteer my mug. JUST TAKE ME TO THE PUMPKIN APPLE CIDER RECIPE ALREADY! 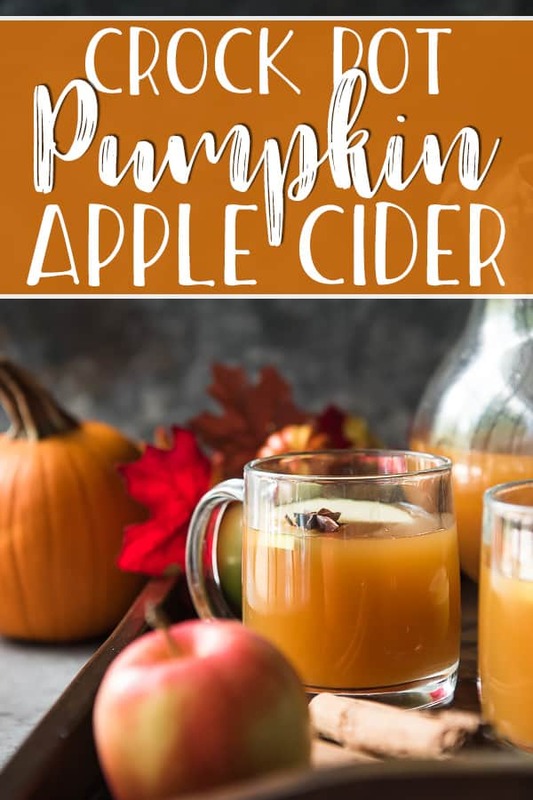 If you’d rather skip my (pretty darn helpful) tips and tricks, essential cooking info, and similar recipe ideas – and get straight to this deliciously easy apple cider recipe, just scroll right on down to the bottom of the page where you can find the printable recipe card! As ready as I am for fall and comfort food and crock pot everything, our Florida weather just won’t make it comfortable for me. We hosted my brother-in-law and our 3-year-old nephew this past weekend. While we had big outdoor plans (beach! springs! ), the humid 90-degree weather kept up inside. While my lazy inner hermit rejoiced, I was pretty bummed for our nephew, who was really looking forward to playing in the sand with his new toys. We did, however, take them to a couple of our favorite restaurants – because what else would we do? Sunday brunch was brutal – 1pm, outdoor seating. Even though we were on the water and in the shade, the entire meal was terribly uncomfortable and sweat-inducing. TLDR: I hate sweating. 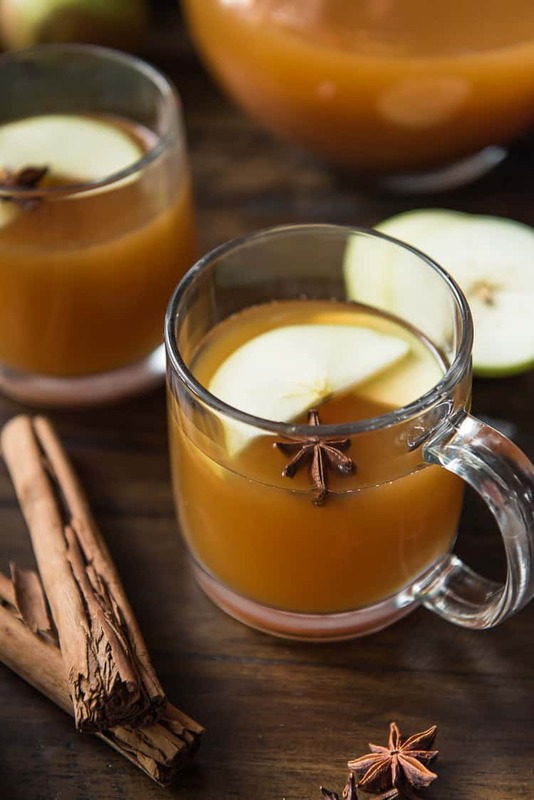 I’d much rather be wrapped up in fuzzy blankets in the cold A/C, sipping seasonably inappropriate warm drinks like this homemade apple cider. Thank goodness the idea of fall is here, even if Ma Nature ain’t with the program down here. Scroll down to the bottom of the post to enter! Apple cider is raw juice that hasn’t been filtered at all to remove the larger bits of pulp that come from the post-cooking mashing process. It is unpasteurized and can ferment and turn into hard cider if it’s unrefrigerated. Apple juice is cider that has been filtered to remove solids, then pasteurized for shelf stability. First, choose your perfect apple-spice blend. If you’re looking for a sweeter cider using less processed sugar, use Gala, Fuji, or Golden Delicious. If you like your homemade apple cider a bit on the tart side, try Braeburn, Jonathan, or McIntosh. A blend of apples from both flavor families will yield you a perfect blend. Wash, core, and chop them and place them in your crock pot. 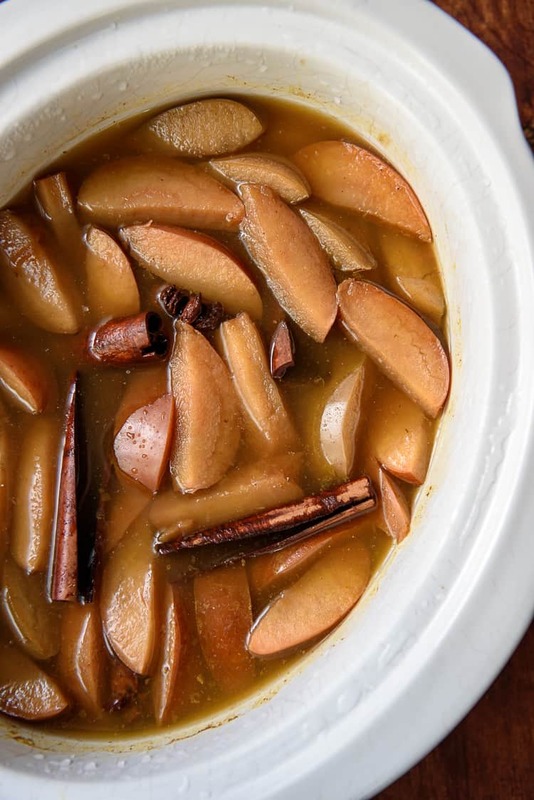 As far as spices go, a few cinnamon sticks and a dash or two of nutmeg, ginger and cloves (or pumpkin pie spice blend) will give you a nice, warm spiced cider flavor. Next, add your pure pumpkin puree & sugar. Always look for 100% pure pumpkin – not the pie filling – on the store shelf. If you’d prefer to use your own roasted pumpkin puree, this is one of the best ways to use it! When it comes to sugar, there is plenty in the apples, but a little bit of extra sweetness is needed for the final product. Brown sugar adds a nice caramelly flavor, but regular granulated or cane sugar will be equally yummy. And don’t forget a bit of lemon juice to help bring out the flavors. 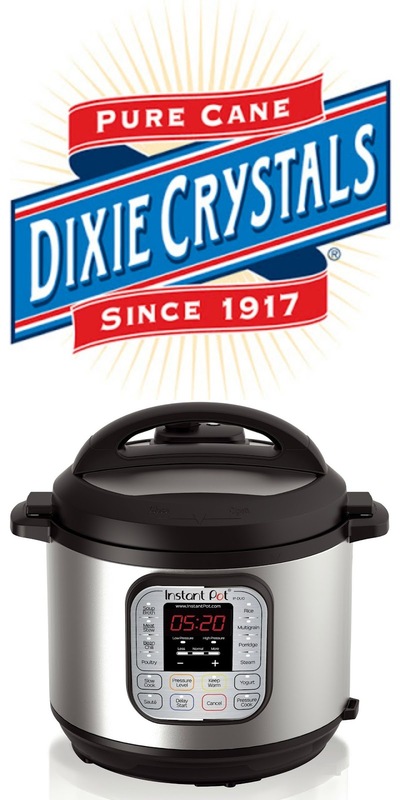 Then, cook it up – the longer the better! These low and slow recipes are where your slow cooker shines. 6-7 hours is ideal for this cider, but if you’re short on time, 3-4 hours on high will do. When the apples are all mushy, smash them with a potato masher (or in your food processor!) and let it cook for another hour to release even more apple flavor. Finally, strain it smooth. No one wants to half-choke on an apple peel as they sip their cider. Strain the applesauce-like mixture into a pitcher, then serve it either warm or chilled. Absolutely! Pour anything you won’t be drinking in the next 7 days into a freezer-safe container, then freeze it for up to 3 months. Of course, if you leave it in the fridge, you’ll end up with slightly fizzy, fermented “hard cider” – a byproduct you might end up enjoying as well! LOOKING FOR MORE FALL DRINK RECIPES? 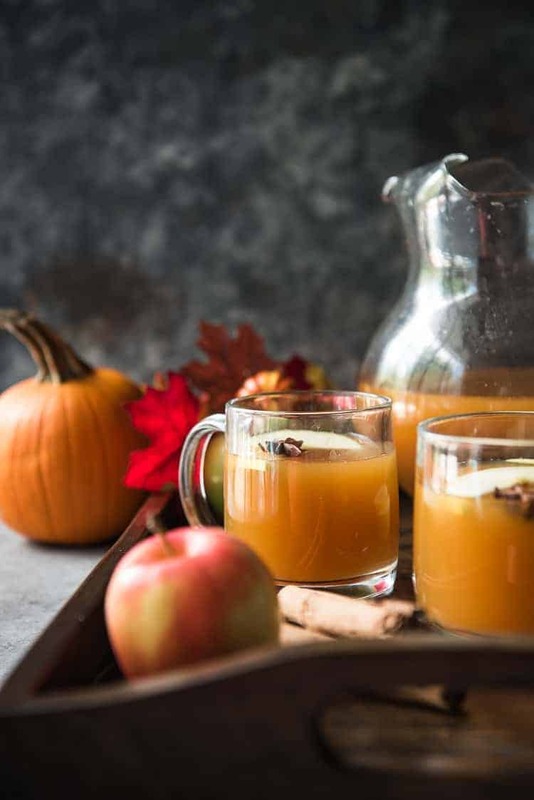 This easy Crock Pot Pumpkin Apple Cider is the ultimate fall drink, whether served hot or cold! 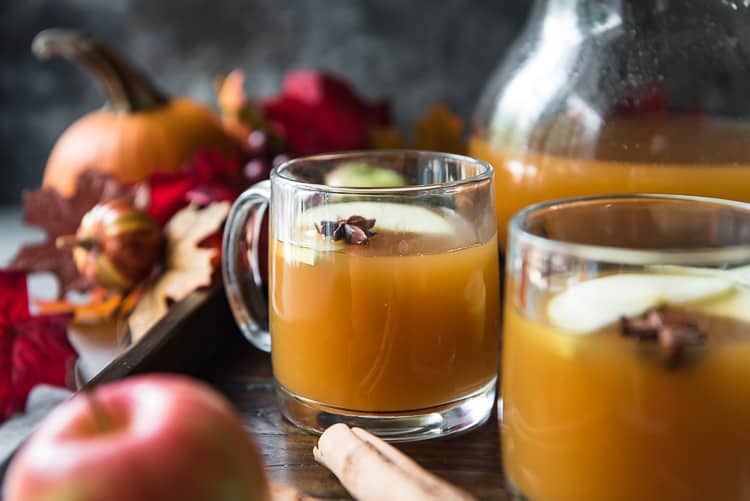 Smooth, spicy apple cider is slow cooked with the comforting flavor of pumpkin, and makes your house smell like grandma's during the holidays! Wash, core, and slice apples and place them in the crock of a slow cooker. Add cinnamon sticks and star anise (if using). Pour 1 cup of water in a large measuring cup. Add pumpkin puree, brown sugar, lemon juice, and pie spice and whisk until well blended. Pour mixture over apples in crock. Add water to crock until apples are completely covered. Cover and cook on low for 6-7 hours or high heat for 3-4 hours. When cook time is up, carefully use a potato masher to crush the cooked apples. Cover and cook 1 hour on low. Pour mash through a strainer or cheesecloth into a large bowl, releasing as much juice as possible from the crushed fruit with a spoon or by squeezing. Discard the solids, as well as the cinnamon sticks. Pour juice into a pitcher and add sugar to taste if necessary. Refrigerate and enjoy for up to 7 days. 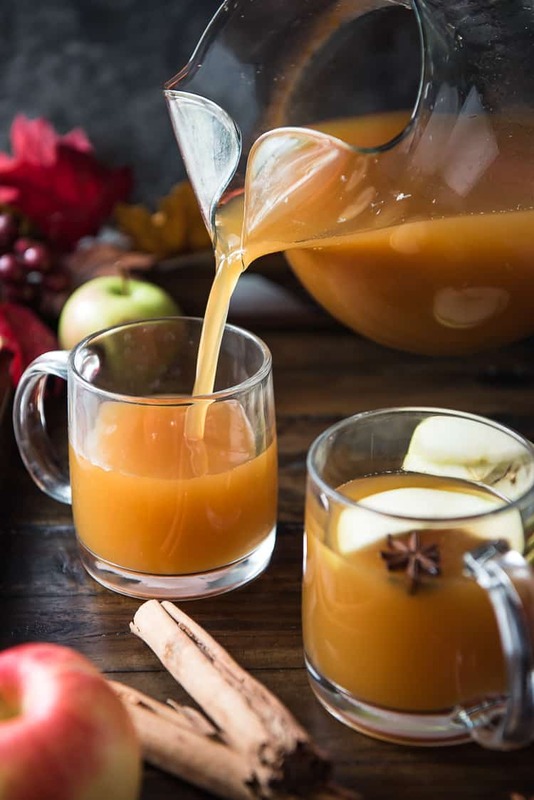 PIN THIS HOMEMADE APPLE CIDER FOR LATER! 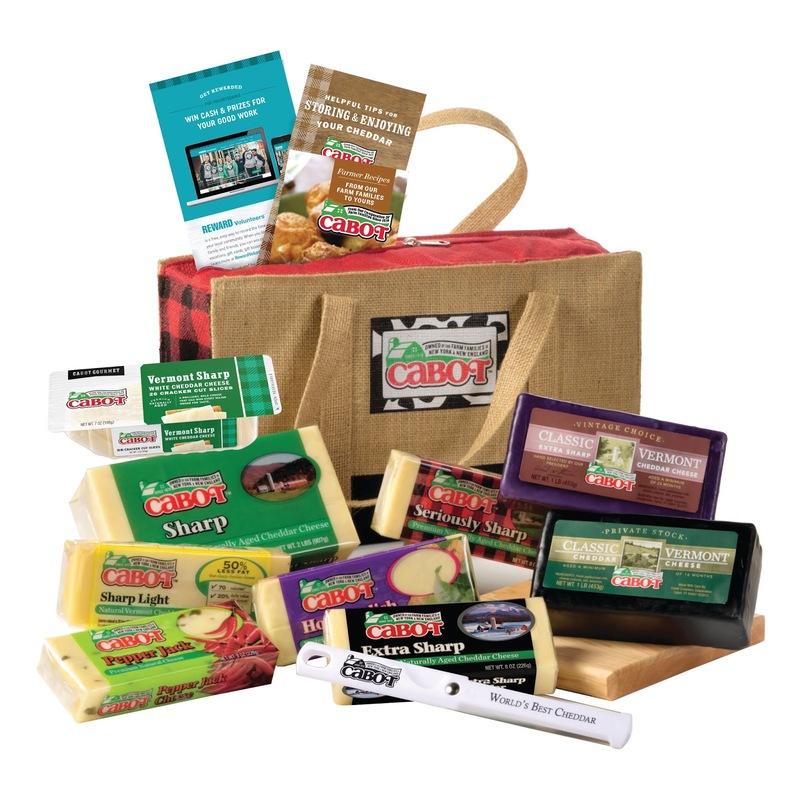 Be sure to enter our amazing Pumpkin Week giveaway! That homemade apple cider looks amazing. I can almost smell it.